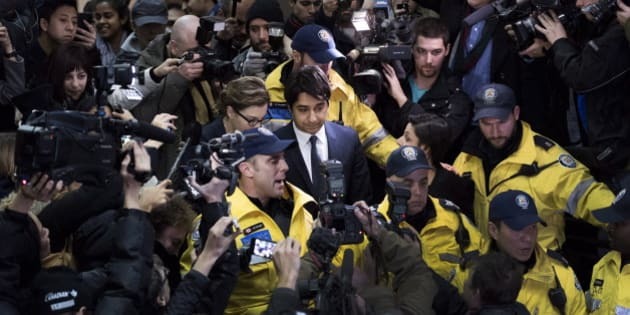 Jian Ghomeshi's trial will be different from any other sexual assault trial we've ever seen. But in some ways it'll be like all the others. Starting with the basics, a criminal sexual assault trial is anything BUT a he said-she said situation. The accused doesn't have to say anything at all, and with minor exceptions, has no responsibility to prove any aspect of the case. By contrast the complainant, via the Crown's case, must prove every aspect of the offence beyond a reasonable doubt -- most of all her (or his, as the case may be) lack of consent. And everything really does depend on the complainant's testimony. So much for blind Themis and her scales of justice. All of which means that the complainant's credibility is key. The time-honoured tradition in sexual assault trials is to pry and prod at the complainant until an opening appears, or simply to bludgeon her credibility by any means possible, while the accused watches silently. There are endless variations on this theme, but that's sort of sexual assault law in a nutshell. The Jian Ghomeshi trial will be very different. Apart from the media notoriety and Ghomeshi's status as a public figure, the most outstanding evidentiary feature of this case is his own widely disseminated statement on Facebook (now removed). This one act, seemingly taken in solitary desperation, radically re-set the trial dynamic by putting Ghomeshi's own credibility and even his character on trial. In light of multiple but very consistent versions of events from a variety of sources dating back many years, that Facebook statement is devastating. While there will be many legal technicalities, the complainants' evidence will be measured against Ghomeshi's own publicly stated defence. That defence, almost lost in an effusion of highfalutin malarkey, amounts to a claim that his sexual relations were not merely consensual but unambiguously and consensually violent; any statements to the contrary are all lies and the fruit of embittered female collusion. Well. That's a fine mess for Marie Henein, Ghomeshi's defence counsel, to try to clean up. Wherever possible, counsel want to leave open the possibility of a mistake -- in other words, that both parties are honest and one of them is honestly mistaken. That crack in the doorway allows just enough light of day for reasonable doubt. But Jian slammed it shut on Facebook. Assuming one or more of the complainants are described in the Facebook post, how is Henein now supposed to claim they drank too much to remember clearly or that the accused had a mistaken but honest belief in consent? Her client left virtually no room for any strategy but an all out attack on his accusers. Her problem is that she's dangerously low on ammunition. And Jian's biggest problem is Lucy DeCoutere. A 43-year-old captain in the Royal Canadian Air Force and a public figure in her own right, Ms. DeCoutere came forward apparently out of a sense of civic duty. Her riveting account of being choked by Mr. Ghomeshi without warning on a date some 11 years ago will colour every other aspect of the trial. And against her version of that night long ago, it will be almost impossible to square Ghomeshi's version with anything else that follows. And yet what's become starkly clear in the allegations engulfing Jian Ghomeshi, the MPs in Ottawa, and Bill Cosby, is that our justice system, civil procedures, and even our press and media traditions are wholly inadequate for the issue of sexual offences and crimes. Had Ghomeshi not posted his Facebook statement, the Toronto Star would never have published its story. Even when the Star went to print, it faced an overwhelming barrage of criticism that anonymous sources shouldn't be permitted to besmirch a man's reputation. The clear implication being that if women were not prepared to file police reports, they weren't credible. How far we've all come from those innocent days of a few short weeks ago. And yet we still have far to go. Notice anything about the complainants who've surfaced in all these cases? Most of them are white, and all of them (as far as I know) are middle class. Yet millions of our weakest and most vulnerable (including children) are neither, and they live in daily fear of sexual violence from assailants who know society will never believe them. Wherever we go from here, let's make sure we bring them with us.